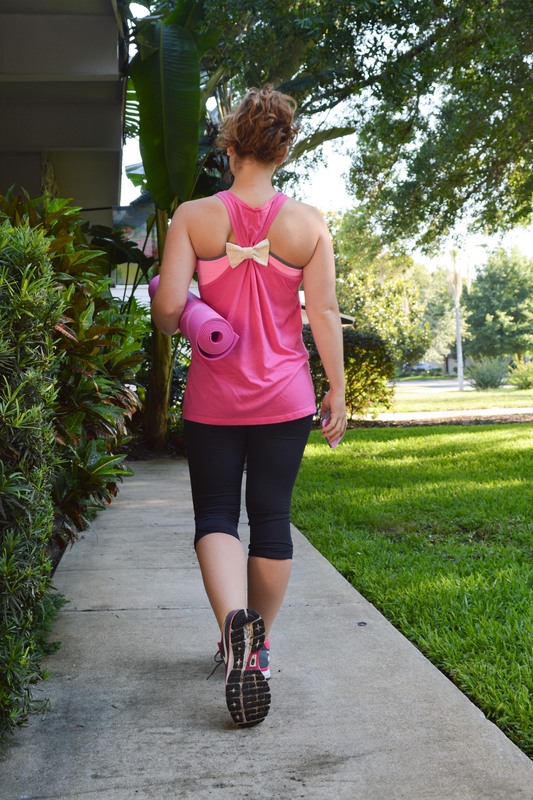 Sometimes I get bored wearing the same things to workout all the time… Today I decided to spice it up by clipping my Saibow to the back of my tank top! 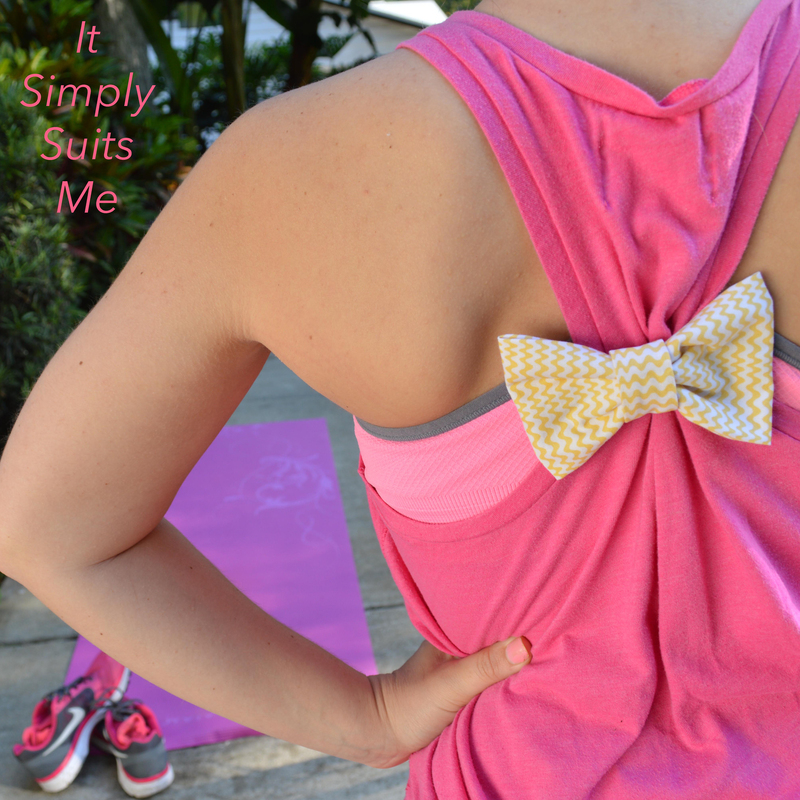 By adding the bow, it made my usual workout uniform feel more cute and fun. Plus I found yet another great way to accessorize with my Penelope! If you want to order from Sailbow use the code “SIMPLY10” so they know I sent you! Just like everyone I have struggled with body image concerns. In high school I found a routine that works for me. By using working out as a way to relax, I get to sweat out all my insecurities and frustrations. I’m stronger physically and mentally today because I took that time for myself. Everyday, I make sure to thank my body for being healthy and strong! Ill never have a three inch thigh gap but I can get up on water ski’s! I’ll never have elegant upper arms but a can carry tons of bags when I’m shopping! Maybe dresses would fit better if I had a more defined hourglass figure but hell I have slightly defined abs! Love who your are, where you are, and where you are going! 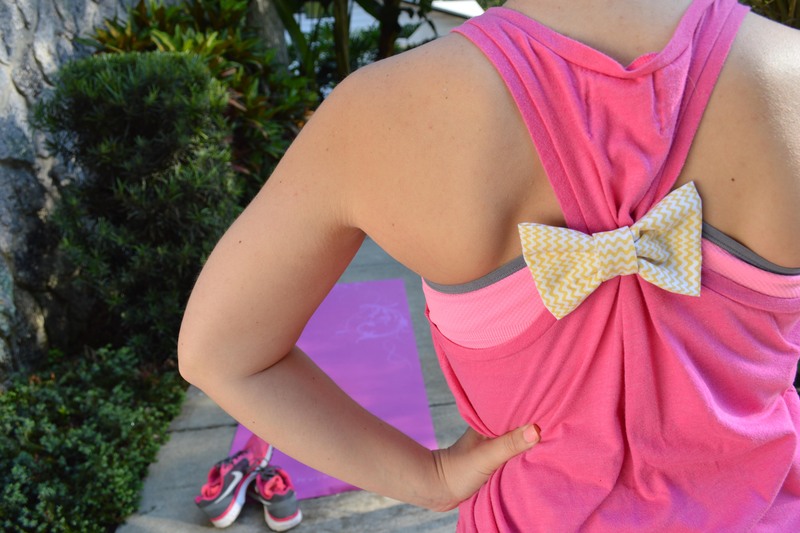 Would you wear a bow to workout? ?